The Turkana Basin Institute has come an incredibly long way in a relatively short period of time. Phase I of our development required raising funds to build and equip a temporary facility at Ileret that would support year-round field research and community projects, to locate a suitable site for a facility on the west side of the lake, and to begin to support postdoctoral scientists and postgraduate fellows. Our initial cost estimate for these goals was USD 2.4 million. However, Phase I was completed by the end of 2007 for about USD 2.2 million, thanks in part to Stony Brook, which funded TBI’s administrative costs in the USA. This ensured that almost all of the funds raised were dedicated to construction, equipping the facility and supporting young scientists. Stony Brook raised USD 500,000 for Phase I via the Stars of Stony Brook Gala that honored Richard Leakey in 2007. Fundraising for Phase II of the TBI project began in 2008 and was completed in the spring of 2014. The goal was to raise USD 10 million over three to five years to enable construction of a permanent facility at Turkwel, to replace the temporary structures at Ileret with a permanent facility, and to invest in the physical capital required to support research. Jim and Marilyn Simons, who had already generously supported Phase I of the project, made a dramatic difference by committing a USD 5 million challenge grant from the Simons Foundation. This challenge offered a dollar-for-dollar match for all other funds donated to support Phase II. The pace of fund-raising increased dramatically when the challenge grant was announced early in 2008, and allowed us to complete Phase II. While much has been accomplished, our work is not yet done. In order to fully realize Richard Leakey’s decades-long vision of a multidisciplinary research station in one of the most remote and scientifically valuable places on the planet, we have set our sights high with our Phase III plans. The hallmark of this final phase will be the expansion and enhancement of field research support. Now that we’ve built the facilities, we want them to be in constant use to accelerate the pace of scientific discovery and the dissemination of new knowledge. Please contact us to learn more about how you can help further the mission of TBI. When musician Paul Simon visited TBI with his wife and children in August 2008, he offered to perform on our behalf, culminating in a hugely successful fundraising effort led by Ian Telfer and Nancy Burke and Jussi and Sally Westergren. Ian and Jussi organized an event in Vancouver in September 2009 at which Paul Simon and Jim Cuddy played and sang. This raised USD 1 million and drew down a further million dollars from the Simons’ challenge grant. 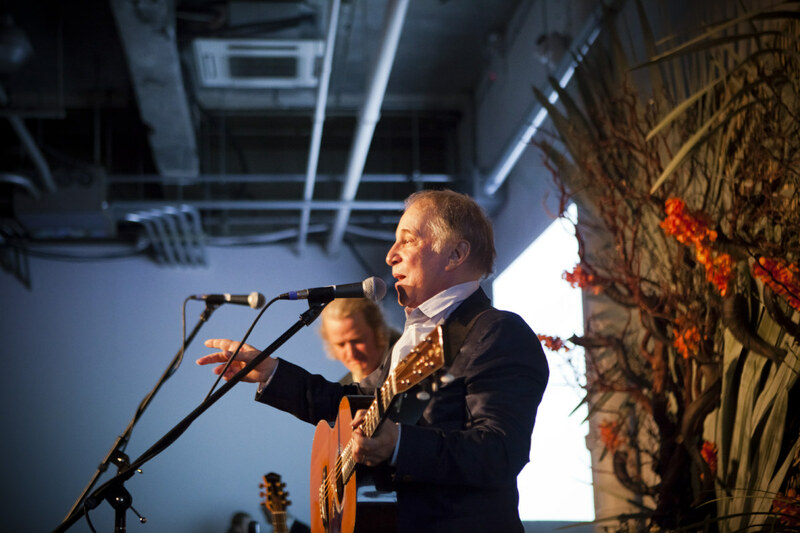 Following this successful model, Rich and Peggy Gelfond, along with Dietlinde Maazel, Dorothy Lichtenstein, Marilyn and Jim Simons, Sonia and Paul T. Jones, Nancy and Ian Telfer, and Helen and Brice Marden, organized a similar event in New York City on May 2, 2012, with Paul Simon once again contributing his voice and music to the cause. This exciting evening raised USD 2.1 million total.